Bandai Namco has revealed that Darkrai is coming to the arcade version of its crossover brawler Pokkén Tournament. The news came during a livestream to promote the coin-op version of the game, which has also been ported to the Wii U. There's no word on whether or not Darkrai will also be coming to the domestic version, but it's highly likely. 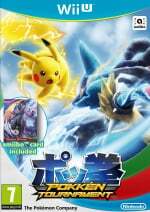 The 1.3 update file for the Wii U game references not only Darkrai, but Scizor and Empoleon as well. You can check out some footage of Darkrai in action below. Could this mean an NX version? Updates for the Wii U version, while nice, would be a little pointless once the NX releases and the majority of it's already small userbase moves over. I'm afraid it will be Street Fighter IV trends. The new characters and updated added on new upgraded version, from Super SF IV, Super SF IV Arcade Edition until Ultra SF IV for the last. I would love to have Scizor and Darkrai in the Wii U version! It would probably get me back into the game. Also, Pokemon GO has gotten me in the mood to play again. They better bring him to Wii U, and it seems like I was right after all and that they're going to fill those empty spots on the roster. Someone suggested on Youtube that they should add a mon from Sun & Moon near their launch. I think that´d be a wonderful idea. Would've preferred Scyther and Infernape to Scizor and Empoleon... never mind, it's good to see more content is on the way. I'm really thinking about picking this up! Oh wow! Legendaries! Truly those are the kinds of Pokemon that are there with trainers at the start of all their adventures, the ones that are around the whole game and players grow attached to. @RoomB31 Good question about the cards. If it were any other company I would say it's already written off, but Nintendo does sometimes come out of nowhere to support existing games (Captain Toad Amiibo, of example). I did not expect him to look like this. The game certainly need more characters so this is welcoming, here's hoping he won't take long to come to Wii U. Awesome looking character I wouldn't be surprised if this got ported too the NX with more characters and cards too come. 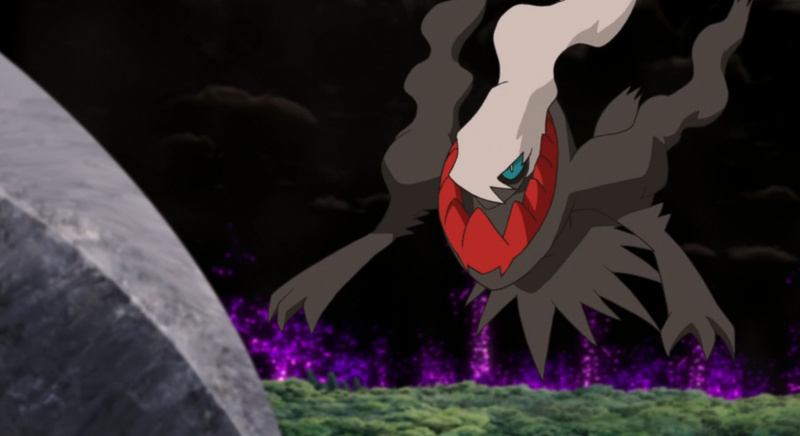 I LOVE Darkrai, I really hope this comes through soon. Oooh! Now I need to get pokken tournament. @EternalComposer @PokeMelon123 Scizor will probably be next given the datamine found roughly equal amounts of info for both him and Darkrai. Empoleon while more likely, will probably be after Scizor and maybe 1 more addition after Empoleon. He can create a clone ? Also, he looks like Joker from Monster Rancher minus Scythe + Heartless + Gouki in my opinion. Looks awesome, and now that we know the other two fighters are coming, I will be looking forward to Scizor even more. @EatMyMoney After the 3 we know of, there'd still be one spot open on the roster, so it's still possible. But then we'd have another situation similar to the lack-of-Swampert deal given we have Blaziken and Sceptile, we'd have Greninja and Braixen, but no one to represent the Chespin line. Darkrai is fine and all but what I'm really happy about is Scizor wasn't confirmed (and doomed) as a support Pokemon. @Spike6958 The NX isn't due out until next spring. There is plenty of time before then to make updates to Wii U games like this one. @Anti-Matter At least Nintendo and Bandai Namco won't ask us to rebuy what is essentially the same game over and over again. Anyway, Darkrai looks great, and the mission panels are an excellent way to extend the lifetime of the game. I can't wait for this stuff to come to the Wii U version.